The morning of the 23rd of December 2017 did not feel real. It was cold and chilly and dark when I stepped out on the streets of 동대문구 [Dongdaemun-gu], the past four months of my life packed in a suitcase and a 40 liter backpack. I breathed in everything – that small Chinese restaurant that just opened a few weeks ago, electricity wires hanging between the old pittoresque houses, the familiarity of rolling down the metro stairs at Korea University station exit 3. Leaving Seoul felt like leaving another universe behind and entering a new one. And it kind of was exactly like that. All the faces, old ladies making delicious 비빔밥 [bibimbap] and 김밥 [gimbap] in small home-like restaurants at street corners, smiling couples streaming out of multiple floor Kakao Friends shops and the fun and noisy yet never anxious nightlife of 이태원 [Itaweon] are all something that I have never seen anywhere else. 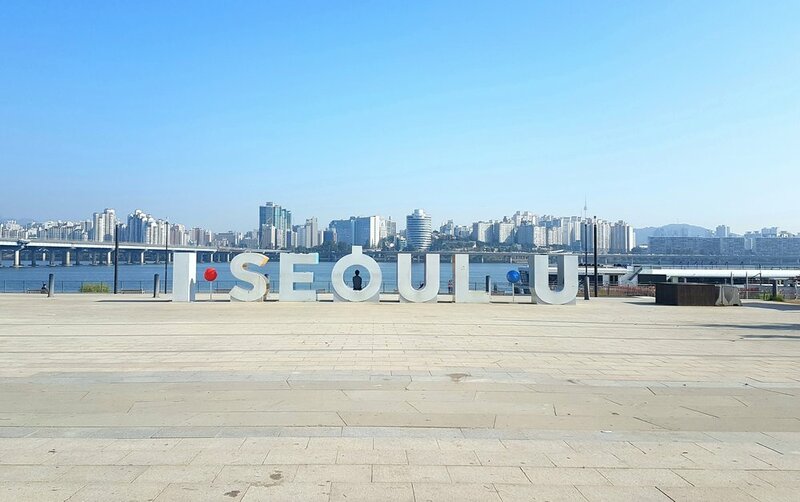 Not to mention the wide Han river dividing the city and the mountains surrounding it, creating one of the most beautiful city skylines in the world, together with the modern skyscrapers of Gagnam. All that life and that peace, all the contradictions and harmony, all that roughness and that beauty in one city – it is incredible. And how it all blends together and creates something so unique and exciting. In Seoul, there is an adventure waiting behind every street corner. And they come in all sizes from very small and cute to huge and breathtaking. I am still amazed and I will always be extremely grateful that I have had the privilege to be a part of all that. When we sat for the fifth hour stuck on the plane waiting for a permission to take off it felt like life wanted to give me some extra time to deal with my contradictory feelings about leaving South Korea. I was so excited to see Australia, but I was definitely not done with Seoul. It is magical to experience – even more so to live in – a city for the very first time. You can of course always go back but it will never be quite the same. A whole new world filled with secrets to discover and new interesting people to talk to. Streets that you will observe to transform from strange to familiar. New language that first seems weird slowly starts to make you feel like home. The charm of a new beginning, when our mind is not spoiled yet by what we already know – or what we think we know. The freedom to start from a clean slate. And even if it will be a return, Seoul is definitely a city that I want to go back to. Fall 2017 I fell in love with Seoul. Lovely Dove-pendant by YO ZEN.